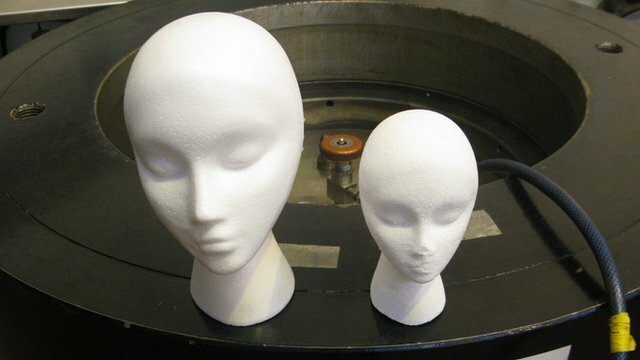 What happens to a polystyrene head under pressure equivalent to 11,000m (1.25 miles) below the waves (kind of like being Black in the US, University of Aberdeen, February 23, 2012. (http://www.bbc.co.uk). It can be a strain to be in the midst of Whites day after day, defending myself against the microaggressions and stereotypes that others heap upon me with their eyes, words and actions. Doctors and psychologists simply do not know how much of a toll individual, institutional and structural racism can literally take on African American hearts and minds, but our life expectancy is definitely lower as a result. But what about the falsehoods of Blackness, that there are only a certain number of acceptable ways of being Black, of acting, looking and sounding Black? How much of a toll does that take? The short answer, of course, is that Whiteness and the racism that comes with it is a thermonuclear weapon when compared with the grenades that those who charge themselves with being the purveyors of Blackness have and do lob at me and others like me. In fact, many of those grenades are duds, sometimes scary but seldom doing any real damage in our lives. Not so, though, when you’re younger and blessed/cursed with self-awareness about race and stereotypes. I’ve yammered about how others in my life while growing up in Mount Vernon threw around the idea that I “wanted to be White” or “talk proper” in order to get respect from Whites here before. The reality, of course, is that I didn’t sound “Black” to many of my 616 neighbors, or at least, like a “Noo Yawker,” instead of like the son of two recent Southern Black migrants from Arkansas and Georgia, one who happened to grow up right outside the city. Their accusations, especially those of one older kid named Terry, made me even more self-conscious about what it meant to be Black. It made me decide to be quiet around my Black male peers, especially those who wore their sense of Blackness like armor. It made me wear what they considered my weirdness, or supposed gay-ness, if you will, like a weapon, fully meant to repel and repulse them at the same time. I realized they never wanted to know the real me, and even more important, never gave me the chance to figure out who the “real me” was. After the summer of ’82, all I really wanted was out of 616 and Mount Vernon, anyway, and away from these people who thought I could never be Black enough. It’s been at least twenty years since I’ve had to deal with the likes of Terry, Joe, Ernie, Pookie, Corey, Reggie, Ray and so many others who thought it was their right to tell me how to be Black. I don’t subscribe to the idea, though, that because some of these folks have “kept it real” and ended up in prison, I’ve proven myself right and them wrong. I never though about their path versus my own. I simply wondered why they couldn’t be okay with me being who I was.